Dr. James John Horan is the founder of 772 Implant and is uniquely DUAL CREDENTIALED in ADVANCED GENERAL DENTISTRY and in PERIODONTICS-DENTAL IMPLANTOLOGY. A Board Certified Periodontist having earned Diplomate Honors from the American Board of Peridontology in 1995 and is acknowledged to be one of America’s Top Periodontists by the prestigious Consumers Research Council of America. Having practiced Clinical Periodontics in South Florida since 1990, Dr. Horan has specialized his practice interests to the surgical placement and restoration of dental implants, soft tissue reconstructive plastic surgery, regenerative bone grafting and ridge augmentation techniques, and corrective/cosmetic soft tissue laser therapy, smile-line enhancement techniques. Dr. Horan’s formal education and training involved his receiving a Bachelor of Science Degree from the University of Pittsburgh in 1982. He earned his Doctor of Medical Dentistry Degree from the University of Pittsburgh School of Dental Medicine in 1986. In 1987, Dr. Horan completed an Advanced General Practice Residency at the prestigious Eastman Dental Center in Rochester, New York. In 1989, he completed a Periodontal and Dental Implantology Speciality Training Residency in Philadelphia at the Temple University School of Dentistry. Upon completion, he was awarded his Speciality Certificate in Periodontology. He is board certified in Periodontology and Dental Implant surgery. Enthusiastic about maintaining and updating his practice with the latest dental implant and periodontal skills, Dr. Horan attends a variety of continuing education programs dealing with innovative technologies and new materials. In addition to his clincial practice, Dr. Horan from 1991-1996 held the position of co-chairman of the Periodontal Training Program at the Atlantic Coast Dental Research Clinic where he actively participated as an officer in organized denistry. 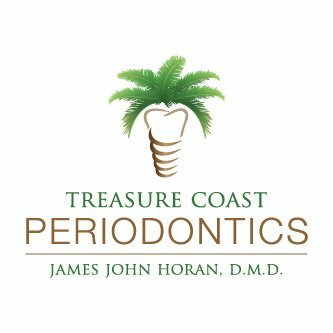 Additionally, Dr. Horan served with the Central Palm Beach County Dental Association on the Board Of Directors from 1992-1998. In 1998, the Association honored him for his service as President and Peer Review Chairman. Dr. James John Horan has guest lectured at Indian River State College, and participates as an active member in numerous professional organizations including the American Academy of Periodontology (AAP), American Dental Association (ADA), Florida Dental Association, Atlantic Coast Dental Association, International Congress of Oral Implantology (ICOI), and the American Academy of Implant Dentistry (AAID).